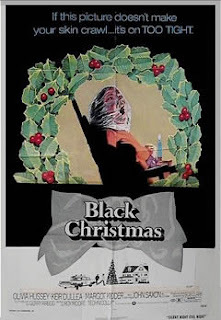 Watched the original Black Christmas (1974) before last Christmas, and I have to say it was much more enjoyable than the remake which came out a few years ago. The remastered print wasn't the best I'd seen, but it wasn't bad either. The film was scary, had some tense moments and the cast was good as well. I was not a fan of the BLACK CHRISTMAS remake. For me, it didn't hold a candle to the original (and the added back story, while interesting, was pointless). This, despite it's age, is the definitive version of the film. Hard to believe it's the same guy who directed "A Christmas Story" (another one of my fave Christmas movies.) RIP, Bob Clark. Snake: I know! About as far as you can get on the opposite sides of the Holiday film spectrum!